Welcome to my 2013 Holiday Gift Guide for Travelers! I’m excited to share products specifically with the family traveler in mind. Tervis® is perfect for the family on-the-go and essential for those long road trips you may experience over the holidays. Proudly made in the USA since 1946, Tervis® allows individuals to express themselves with fun, colorful designs to fit every personality. Visit www.tervis.com to learn more. 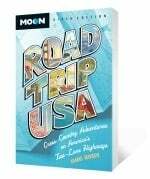 Road Trip USA Sixth Edition is an essential guide for anyone who loves road trips. This pick up and go guide offers 11 detailed routes that will allow the reader to experience the very best of Americana through roadside attractions, parks, local history and lodging and dining that stand out in this mile-by-mile reference. Read my full review of Road Trip USA. Now even the youngest member of the family can prepare for international travel. Little Pim uses immersion and interaction techniques to engage and introduce your toddler and preschooler to new languages. Pim, an animated panda, narrates each section while introducing new words to your child. Each DVD teaches more than 60 new words arranged in five-minute episodes. Little Pim is available in Spanish, Chinese, Mandarin Chinese Italian, French, Japanese, German and Arabic. Read my full review and learn how you can save 20% when you purchase Little Pim today. Lightscoop Deluxe works with most DSLR cameras to bounce the flash to a nearby wall or ceiling, creating a softer, more natural, more professional look for horizontal photos. This product allows the everyday photographer to get great looking photos without the use of high dollar equipment. Read my full review of the Lightscoop and learn how you can save 15% on your order until December 23rd. Are you or a loved on always snapping photos with your phone? Then you need this free app. Each month, Groovebook allows you to upload 100 photos which are printed in a small booklet and mailed to you for $2.99. This is a great gift for grandparents’ who live across the country or your teen, to capture all their selfies. 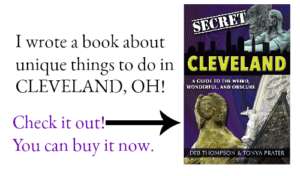 Use the code THETRAVELINGGROOVE and receive your first Groovebook for Free. Read my full review of the Groovebook App. Read my review on the Inspired Vacation Journal Travel Kit. Disclosure: I have sampled and tested each of these products. I purchased many of them and some of them were provided for review purposes. I have added a few affiliate links which means if you purchase the product, I will receive a very small portion of that sale- at no additional cost to you. Thanks so much for supporting The Traveling Praters!